Finding the right pillow can be really hard work (or a real pain in the neck! ), choosing the wrong one can be the difference between a good night’s sleep and a restless night, which can then result in neck pain and tension. With most of us spending at least one third of our day in bed, a supportive pillow is just as important as a good ergonomic workstation. The most important function of a pillow is to keep the neck aligned while you sleep. When a pillow becomes used and unsupportive, it can no longer keep the neck and shoulders aligned correctly, which may lead to sleep disruption, tossing and turning, tension in the shoulders or neck, which commonly can cause headaches. The firmness of the mattress will also affect the thickness of the pillow – a softer mattress will allow you to sink into the mattress when sleeping, so always take this into consideration before purchasing a new pillow. There are many types of pillows on the market and sometimes the most expensive is not necessarily the best. Take your time in trying one out and make sure it’s going to suit your needs. Currently latex and memory foam pillows are the most popular, which are both forms of contoured pillows. Latex pillows are made of natural latex and never require fluffing, they maintain their shape and provide maximum air-flow, preventing moisture and heat build-up. They are hypoallergenic and chemical free which is very suitable for asthmatics and individuals who suffer from allergies. Memory foam pillows are made from a high quality manufactured foam and generally have more variation ability with adjusting the height by taking out or adding sections of foam, in addition to being able to flip and rotate them. After finally finding the right one, it is important to look after your pillow. Some pillows come with a protective cover, although if it doesn’t it is important to get one. This protects the pillow from chemicals from your face creams, hair serums etc, which can damage the fibres and lead to a loss of integrity from the pillow. From a hygiene standard, studies have shown that replacing your pillow every two years is best for our overall health. Breathing in nasties that collect within our pillows from our skin cells, hair and sweat can negatively impact our health and wellbeing. At VSRC we have chosen to stock a specific range of pillows that we believe are the best choices for our patients starting from $80 (some can be prescribed as a medical aid, which you may be able to claim through your private health fund depending on your cover). 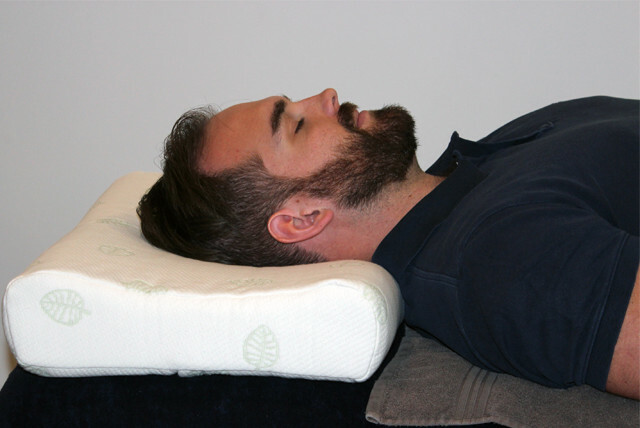 A supportive, therapeutic pillow is a great investment for spinal health so if you have any questions about whether your pillow is suitable, or whether it may be time for a replacement feel free to ask us at your next appointment. We can also order travel pillows and pillows for children upon request.